After spending time exploring the seashore with folk, sharing the wonders that can be found there and collecting some edible species of seaweed, I take people back to cook up a wee taster of three course meal (well a canapes/starter) and for the dessert I make a carrageen pudding. After having been asked often to share the recipe I use, on camping stove and either a fridge or cool box with ice blocks, here is the recipe. And suddenly the March equinox is upon us and past us, with daytime longer than night. This regular blog writing is tough work and at last I find time to pen some thoughts on the seasonality of the plethora of different colours that grace and brighten a walk, scramble, stumble and wade along our seashores. It has been a busy couple of months, split between seaweed and other work and trying to get ready for some big changes that will be coming to Slate Islands Seaweed hopefully in the coming months. Obviously I have been down on the seashore despite the weather for actually quite a lot of the year not being the most conducive to comfortable or even safe rummaging around. And with that spring is here, and it is time to explore why this time of year up until the end of May is probably the best time of year. New year, time to try something new? It’s already 15 days into 2018 and well over a year has passed since I posted anything here. Inspired by a comment a friend made in my reply about a Nigel Slater recipe in the Guardian, I thought I would start my resolution to actually write more about seaplants & seaweed. What triggered this was Nigel’s recipe for dulse butter, in the ingredients he simply says “20g of dulse or other seaweed”. Or other seaweed? Might as well say “parsley or other herb”. This is not a rant article, just going to try and highlight what different flavours our edible seashore can provide. Letting the spore settle: what is seaweed? Seaweed has started to feature a fair bit in discussions about new super-foods, as diversifying our palate, as seasoning, as food for free or just bringing back something that was once a feature of many a coastal inhabitants diet. 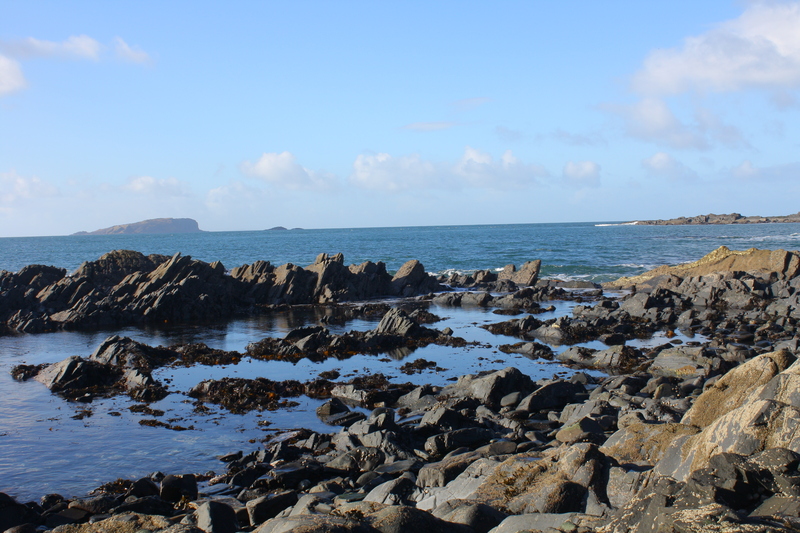 Let us face it, this is exactly what Slate Islands Seaweed is about, look it is in the name! Sea Veg would have possibly carried fewer connotations of something olive-brown covering the rocks and clinging to us as we go for a swim in the sea but even then this would not do justice to this incredibly diverse group of macro-algae. For what we group together as seaweed are far more diverse by nature than our common edible terrestrial plants.